Not to whine, for such is life... but simply to observe: 2013 was the first good year around here since 2007. Oh, there've been many good days, minutes, hours, some weeks, even, since 2007... but whole years? Not those. Neutral years, years in which nothing much bad happened? Not those, either. 2013 could have turned out differently. The stakes were high. And the big results weren't in until September. But what the first nine months were leading up to culminated in very happy news! I am beyond besotted! Look at that tender, adorable face! The painting show I started working on in early January, opened in late September to a very warm reception. There were moments in March when I thought I wasn't going to make it. But I worked through the problems and ended up finding, as I had struggled to find, my own idiom. I made quirky paintings and they pleased me. The fact that others liked them was delicious. I made illustrations, you will perhaps remember, for a wonderful new magazine about Raleigh, NC, called, appropriately enough Walter! I got to do all sorts of things---maps, portraits, foodie things, even the cover of the first anniversary issue! And I had a double spread of garden imagery in June ! My work appeared on other pages, too. 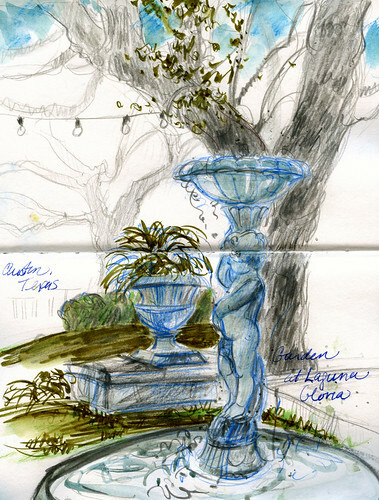 In the June issue of Watercolor Artist Magazine and in Playing with Sketches (the fourth book my work is included in!) by Whitney Sherman, director of the graduate program in illustration at the Maryland Institute of Contemporary Art. I'm so proud to be represented in both publications. I made trips to Austin and to Portland, OR, to see my darling peripatetic daughter Cecelia. 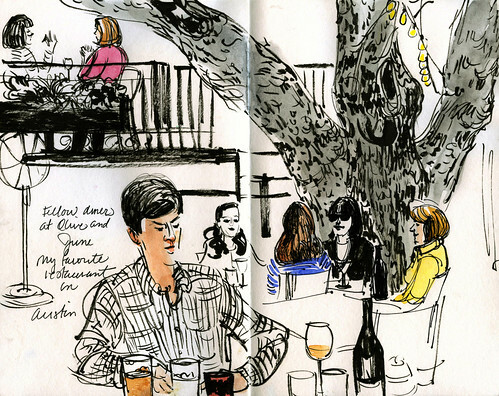 In Portland, I had a delightful sketching meetup with some Portland Urban Sketchers. As you may know, I ended up my year with an exciting trip to northern Norway. 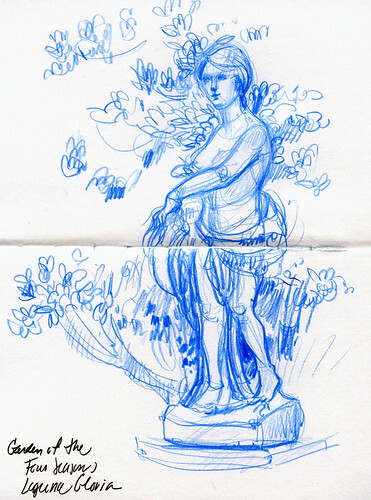 More sketches from that trip to appear in a few days. My scanner is still hiccupping and the holidays are still intervening! I will also talk about my art goals for 2014. I've done this before ;D. See you in just a few days! And happy New Year to all of you, wherever you are! I had just two full days and pieces of another two on my visit to my daughter this past week. I fell in love with Austin's houses this trip. I know of no other place that has the number and variety of quirky, colorful, and plain old adorable houses that Austin has. What IS in the water there, because I want some of it! 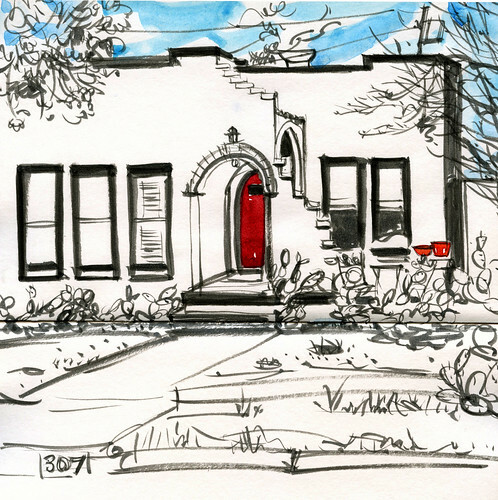 Unfortunately, I only managed one house sketch, but am dying to go back and (see my daughter, of course) and sketch more of these little jewels. That's what they are. Austin also has good restaurants aplenty. My new favorite is Olive and June and I thank my daughter for suggesting it for our first night together! I travel. I sketch. 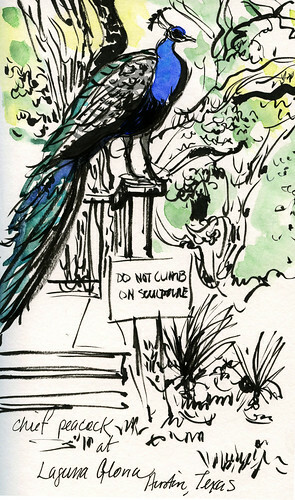 I sketch gardens and the things in them. This trip was no exception. We spent parts of two afternoons at the lovely estate Laguna Gloria. 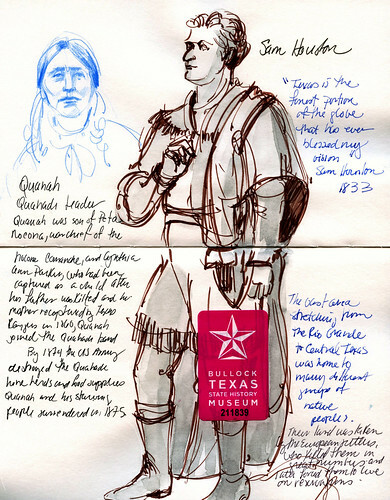 Entering the Bullock Texas Museum of State History, you see quotations carved in huge scale on the marble walls flanking the entrance to the exhibits, trumpeting the wonderfulness of Texas. This kind of boisterous self love can be endearing, but it’s also a bit off-putting, given the state’s early history of exploitation and destruction of the native people by European settlers. This is true of much, if not all, of the original European settlements in the new world, of course. Still. Note to Texas... and to self, for that matter: healthy doses of humility never go amiss.